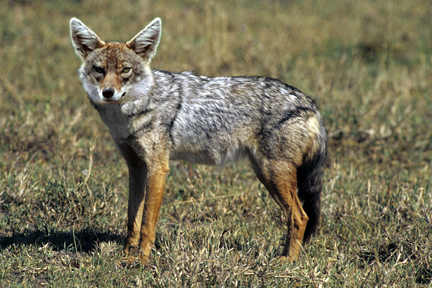 Scientists have long considered the "golden jackals" of East Africa and the jackals seen across Eurasia to be of the same species. But a new DNA study shows that we've gotten these cunning canines all wrong. According to the study, the animals are distinct species -- and the African "jackals" aren't jackals at all but wolves. Dubbed Canis anthus, or the African golden wolf, this is the first new species of canid -- the biological family that includes dogs, wolves, coyotes, as well as jackals -- discovered in Africa in 150 years. "Consistent with two previous studies also based on mitochondrial sequences, we find that golden jackals from Africa and Eurasia are not each other’s closest relative as we would expect if they were the same species," Dr. Klaus-Peter Koepfli, a researcher at the Smithsonian Conservation Biology Institute in Washington, D.C., and the study's lead author, told The Guardian. 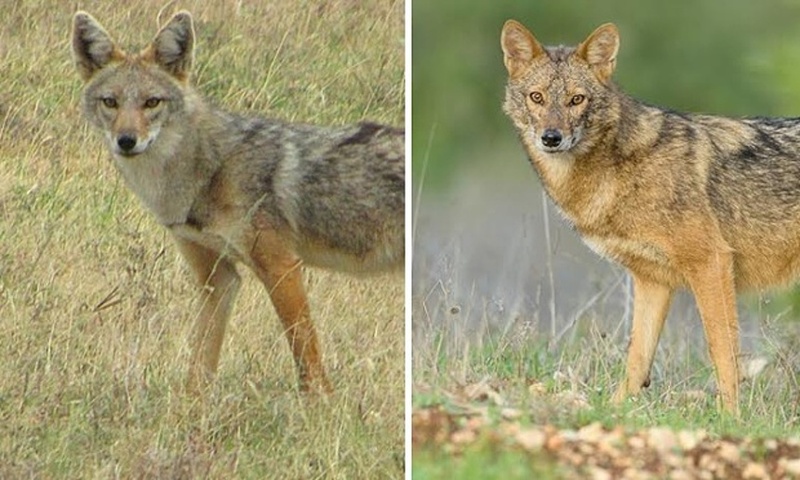 They noticed that African golden jackals (now considered to be the African golden wolf) split from their gray wolf and coyote ancestors around 1.3 million years ago. Eurasian golden jackals diverged some 600,000 years earlier -- and the two species’ mitochondrial DNA differs by up to 6.7 percent, Science magazine reported. Responses to "New Wolf Discovered For First Time In Hundreds Of Years "